The day’s schedule is full of standout performances, including returning favorite Alaska Kuteeyaa Dancers and a group new to the festival, Scatter Their Own, from South Dakota. Visitors can also enjoy demonstrations inside the museum on basket weaving, carving and how to make a dream catcher. All artists participating in the events are skilled masters of their craft and offer adults and children alike an introduction to generations of knowledge and tradition. The museum will be open to the public free of charge on the day of the festival. Guests can tour all exhibits throughout the museum, including the corresponding In The Spirit exhibition of contemporary Native American art, with techniques ranging from traditional to modern and featuring a mix of mediums. During the festival, the ‘People’s Choice,’ ‘Pendleton Award,’ ‘Legacy Gallery Award’ and ‘Washington State Historical Society Purchase Prize’ winners will also be announced. Young Native American children waiting to perform at the Festival. Photo courtesy of Washington State Historical Society. Opening Ceremony: Welcome blessing from Theresa Harvey and drum and dance performance by The Chief Leschi School. Scatter Their Own: An alternative rock duo of Oglala Lakota ancestry from the Pine Ridge Indian Reservation of South Dakota. Tahuri Mai (Maori Dance Group): Henare and Tawera Tahui Henare are performance artists from New Zealand, returning to In the Spirit this year with their children to participate for the first time in the Northwest. Snagim Azasniikangin (Dream Dancers): Comprised of 21 members from Bellingham, of the Unangax (Aleut) tribe from the Aleutian Islands, the dance group is dedicated to honoring their ancestors with traditional song, dance and costume. Alaska Kuteeyaa Dancers: Led by Florentino “Tiny” Barril, the captivating group is comprised of multiple generations of several tribes from Alaska. Rona Yellow Robe Walsh: A powerful flutist and vocalist, Rona is First Nation Cree from Saskatchewan, Canada, and is also an enrolled member of the Chippewa Cree Tribe of Rocky Boy, Montana. 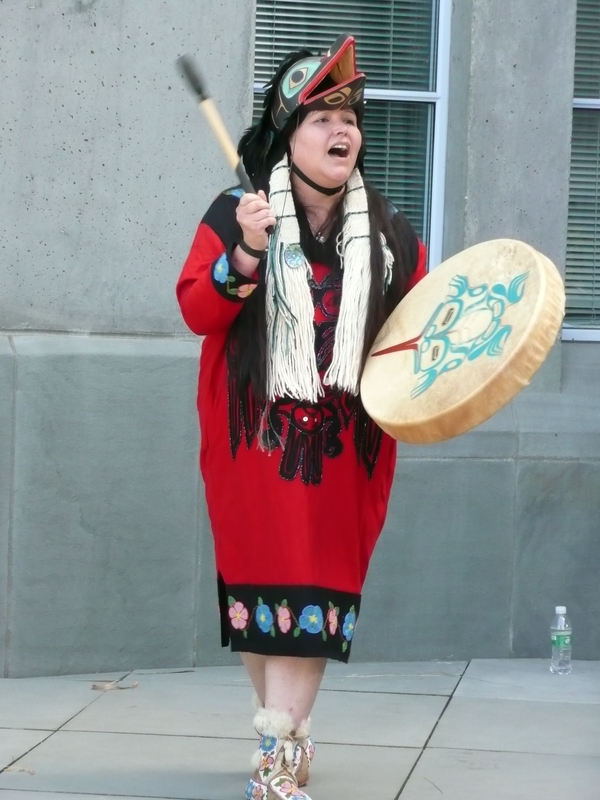 Tac Town Singers (Big Drum): The Tacoma-based band represents Puyallup, Blackfeet, Cree, and other northwest tribal nations and teaches members to be humble and help out in the community. Awards Ceremony: The ‘People’s Choice,’ ‘Pendleton Award,’ ‘Legacy Gallery Award’ and ‘Washington State Historical Society Purchase Prize’ winners to be announced. 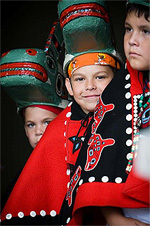 The House of Welcome (Longhouse Dancers): From The Evergreen State College Longhouse Education and Cultural Center, the group represents the diversity of indigenous cultures found in the Pacific Northwest, including local Coast Salish peoples and urban Indian people from tribes across the U.S.